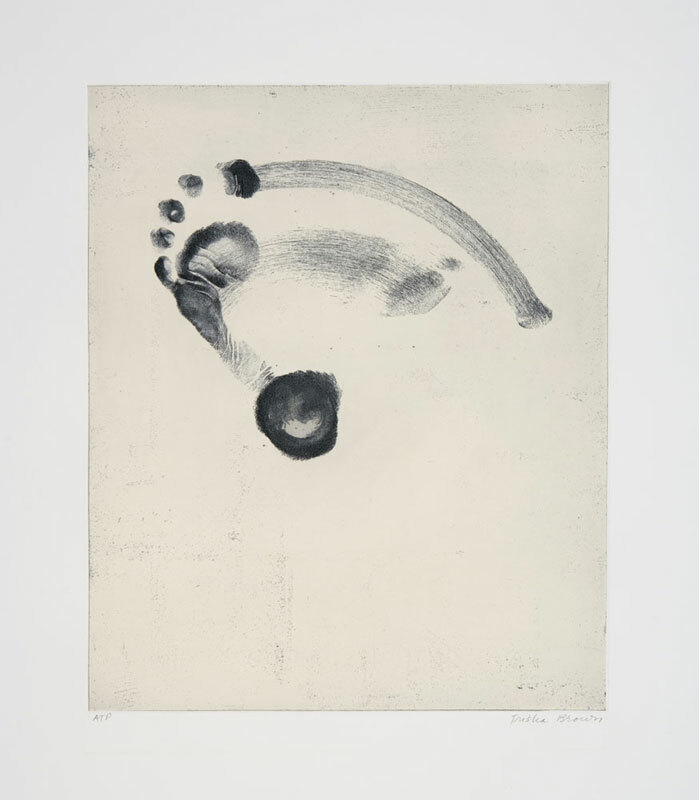 Suite of three prints - $3,000. 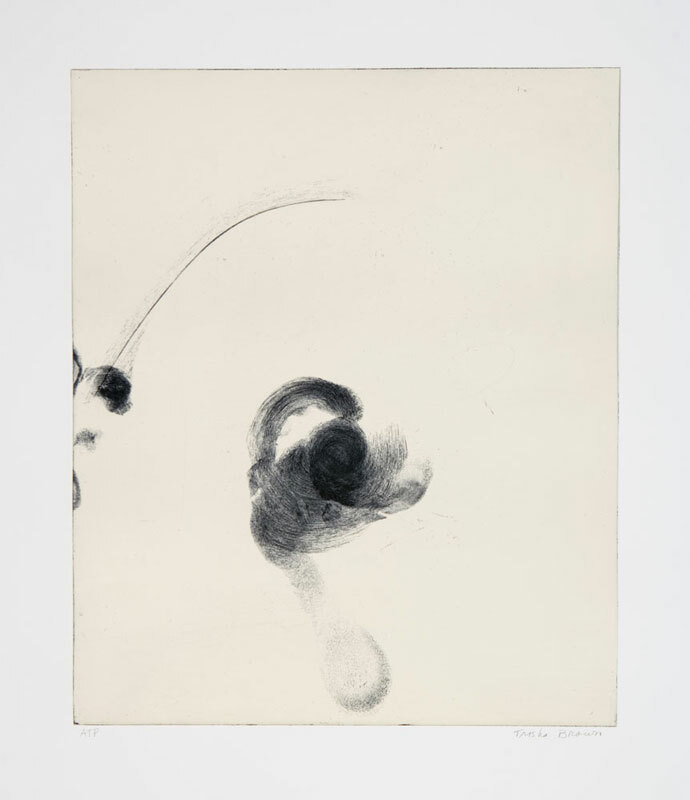 Trisha Brown (1936-2017), the most widely acclaimed choreographer to emerge from the postmodern era, first came to public notice when she began showing her work with the Judson Dance Theater in the 1960s. 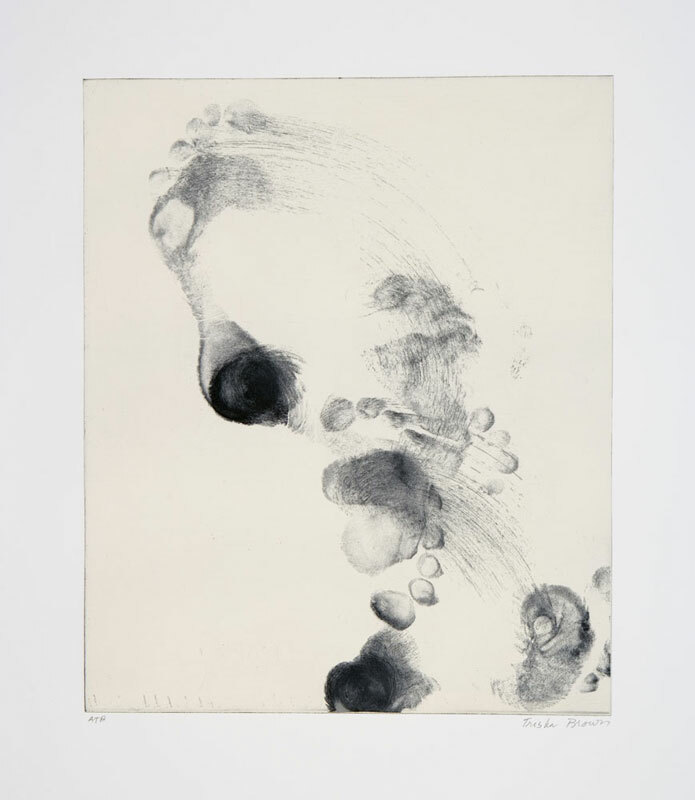 Trisha Brown is known for her work in the visual arts, including improvisational works combining dance and drawing, and collaborations with artists including Robert Rauschenberg, John Cage, Laurie Anderson and Terry Winters. 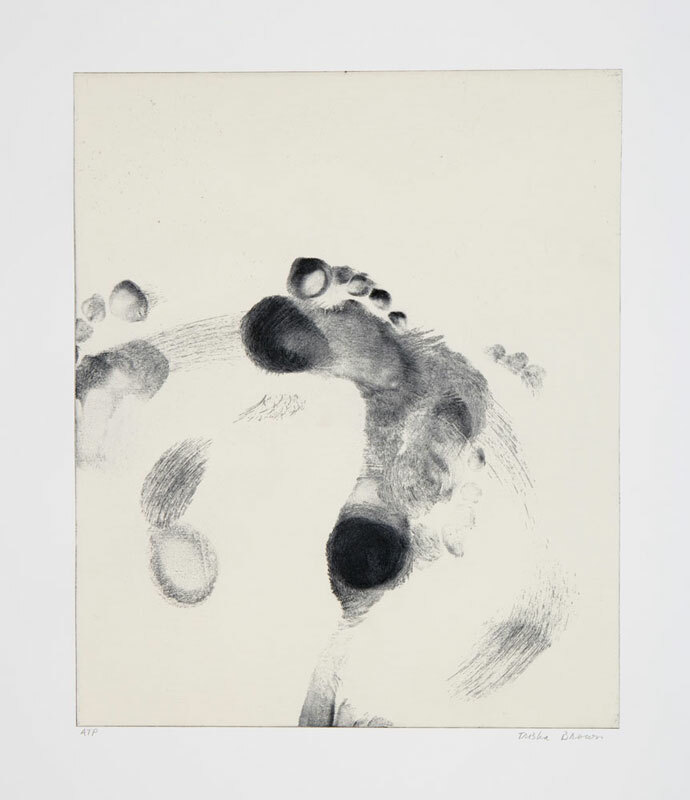 What began in the 1970s as sketches that attempted to translate Brown’s choreography to paper, soon began to be viewed as intriguing images of freedom and a re-examination of space. 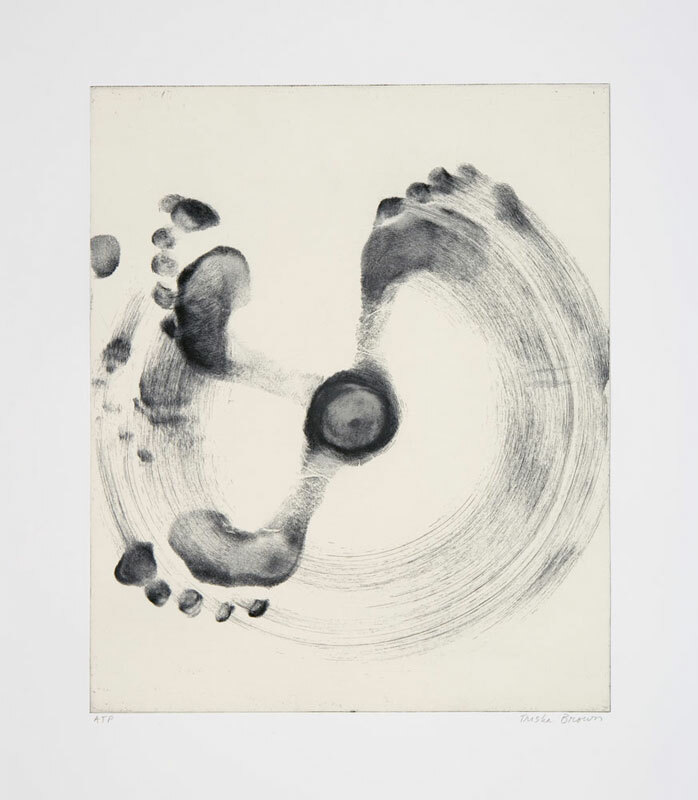 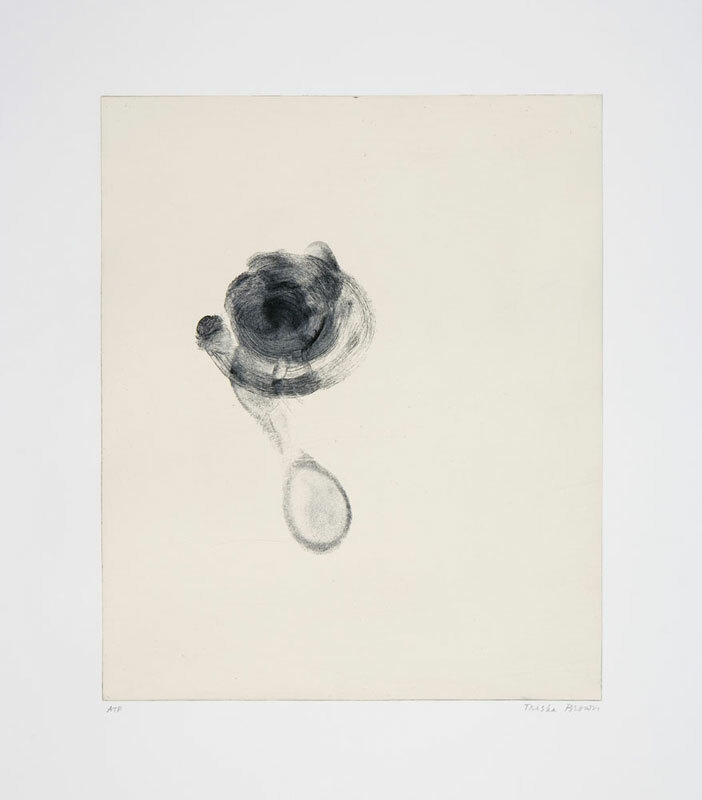 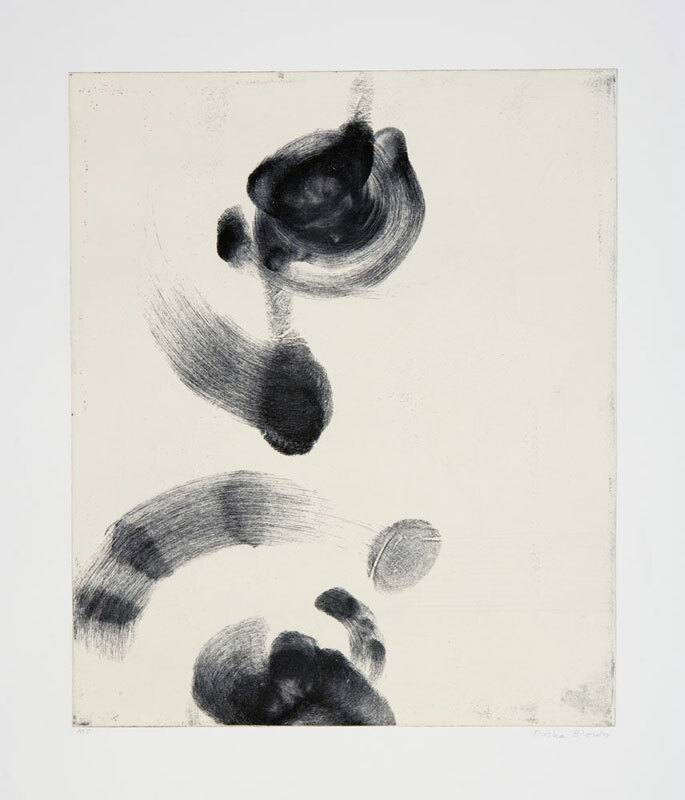 Graphicstudio collaborated with Trisha Brown to produce Compass; Untitled (Set One); Untitled (Set Two); and Untitled (Set Three), a series of soft ground and surfaced-rolled etchings in an edition of 35 each. 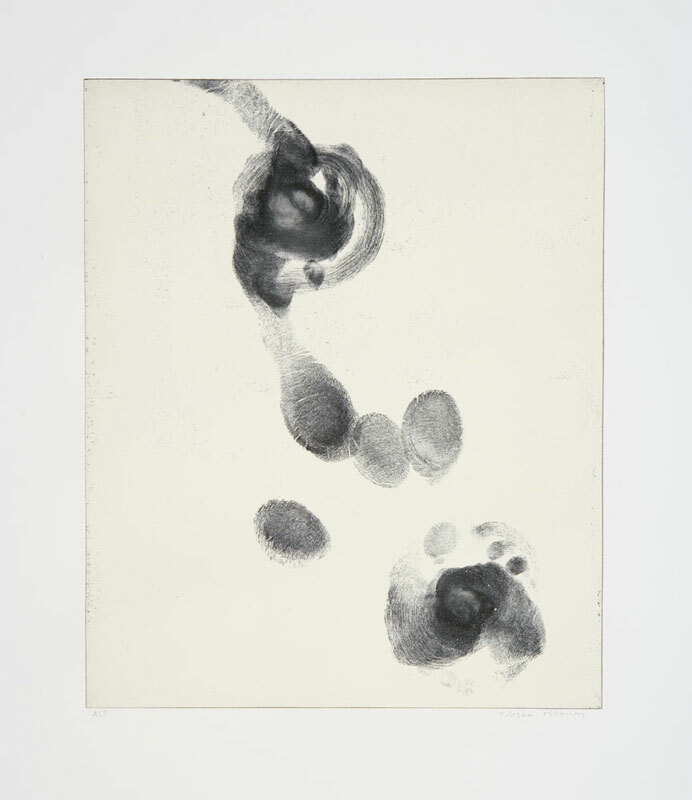 To create each print, the artist used her feet to make impressions of a variety of movements onto an evenly coated soft ground plate. 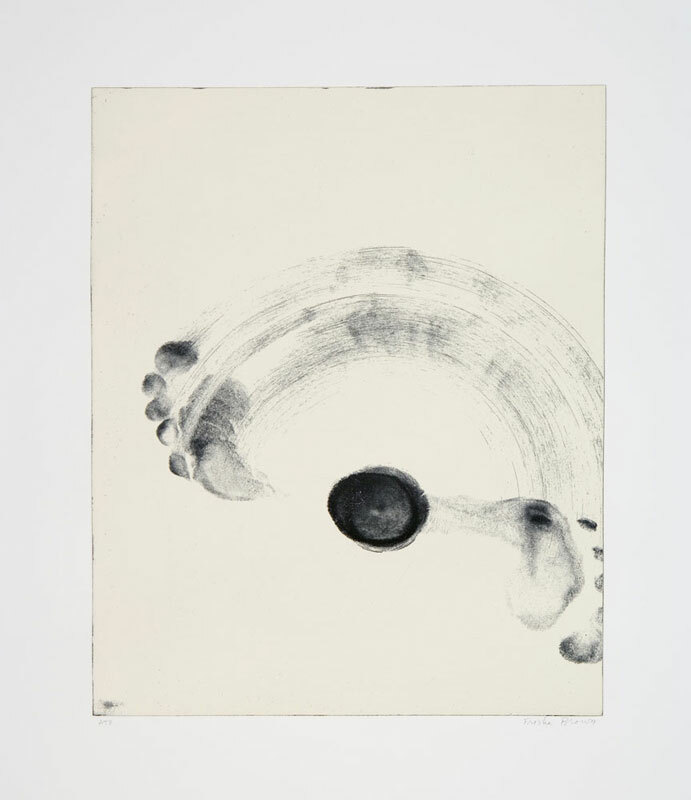 The plate was subsequently etched, inked, surface-rolled in light beige and printed in one run. 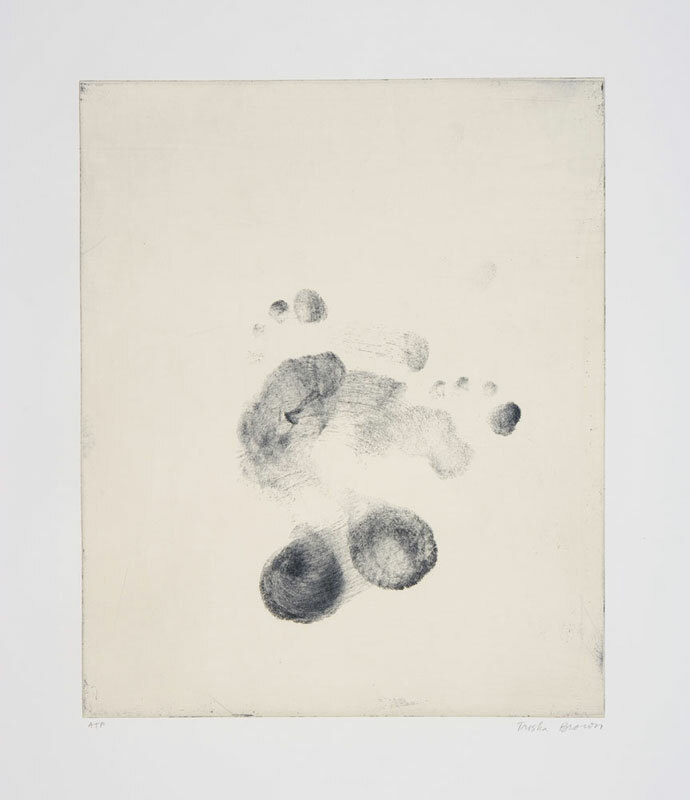 With subtle movements and delicate traces of imprints of the artist’s feet, each work has an improvisational visual quality that recalls abstract dance choreography.